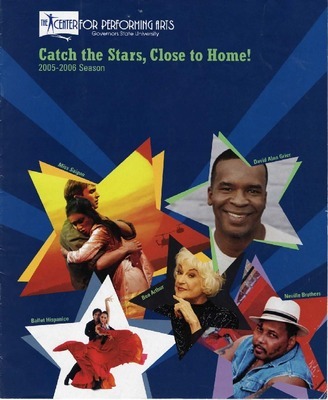 Brochure for multiple shows during the 2005-2006 season. 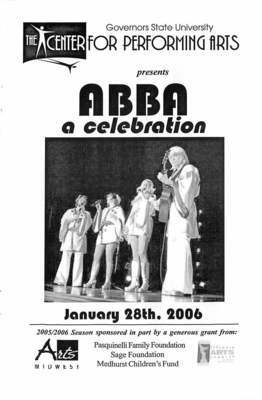 Promotional material and playbill insert for the January 28, 2006 performance of ABBA: A Celebration. 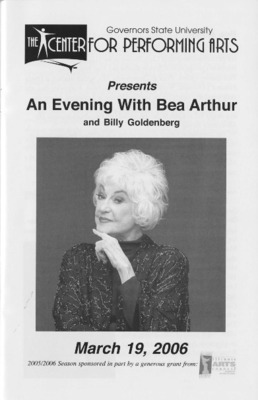 Playbill insert for the March 19, 2006 performance of An Evening with Bea Arthur and Billy Goldenberg. 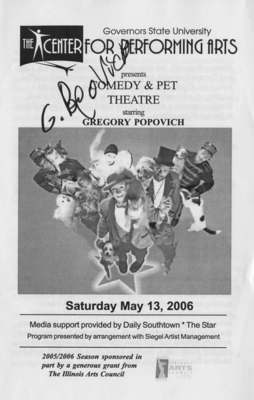 Autographed playbill insert for the May 13, 2006 performance of Comedy & Pet Theatre Starring Gregory Popovich. 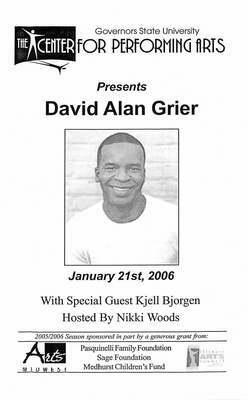 Playbill insert for the January 21, 2006 performance by David Alan Grier with special guest Kjell Bjorgen, hosted by Nikki Woods. 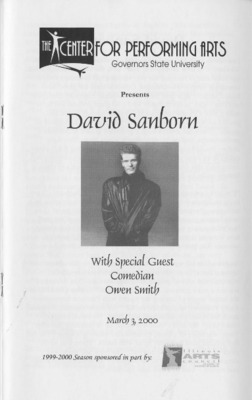 Playbill inserts for the March 3, 2000 performance by David Sanborn with special guest, comedian Owen Smith and the February 11, 2006 performance by The David Sanborn Group. 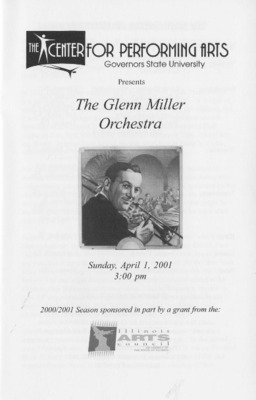 Playbill inserts for the April 1, 2001 and March 12, 2006 performances by The Glenn Miller Orchestra. 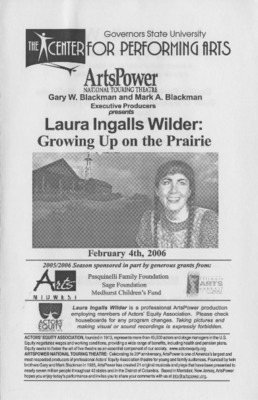 Program for the February 4, 2006 performance of Laura Ingalls Wilder: Growing Up on the Prairie by ArtsPower. 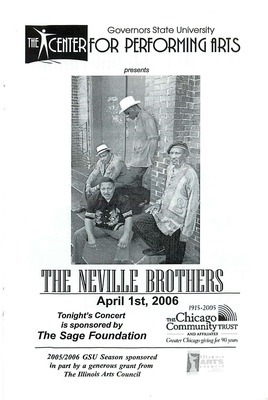 Playbill insert for the April 1, 2006 performance by The Neville Brothers. 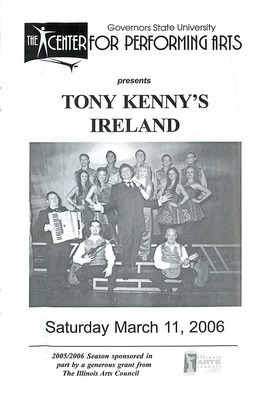 Playbill insert for the March 11, 2006 performance of Tony Kenny's Ireland and autograph.